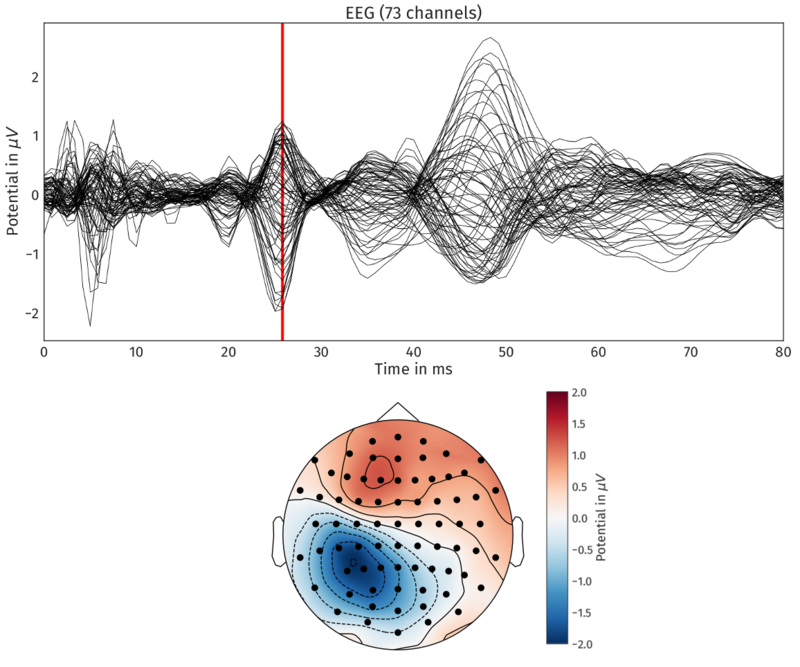 title = "Electroencephalography Forward Problem"
A CutFEM discretization of the EEG forward problem ([Nüßing 2018](https://nbn-resolving.org/urn:nbn:de:hbz:6-67139436770)). 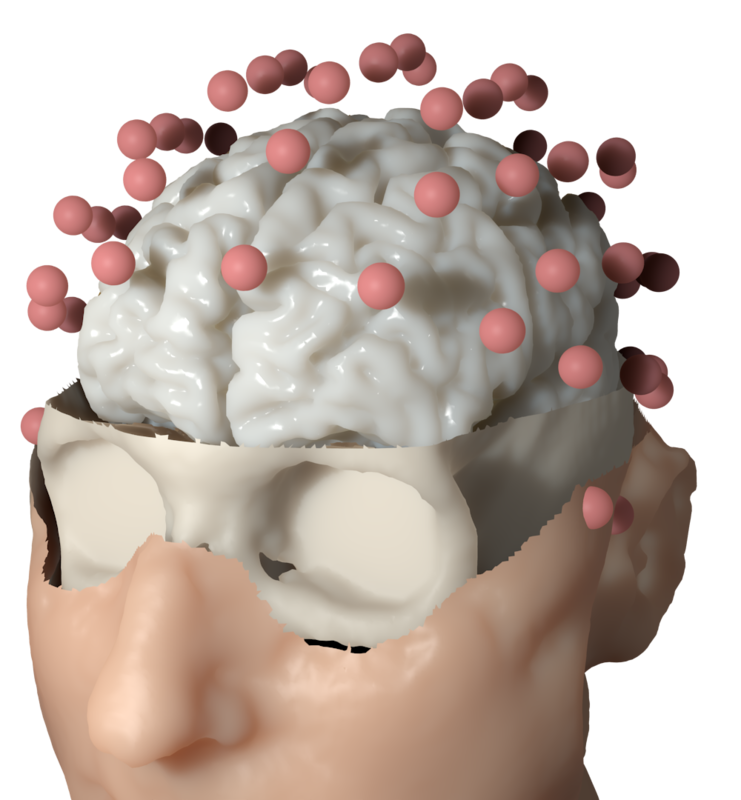 The geometry is obtained from an MRI scan of a healthy subject, the image is segmented and a level-set description is generated. To avoid problems with creating a geometry-conforming mesh, a CutFEM method is employed which directly uses the level-set information. Using the forward solution given by Dune, the origin of a measured potential distribution at the head surface is estimated. Visualized using Paraview and Blender.